The site that shall not be named is up with a post seemingly confirming my question from earlier last month. Given the timeline for the Hulk redo, and the recent site videos of the B&M fabricator plant in Ohio, that don't appear to show any Hulk track, who is doing it? Is this a Structural Dynamics redo? My understanding was that Universal is just doing an overhaul of the building/theming. As for the ride vehicles being changed, I don't know what this means for B&M in terms of structural changes. If the vehicles go floorless, does that require any alteration in the track? I don't remember Rougarou or the dive coaster that went floorless (don't remember which one) needing changes in the actual track. Making new trains for an existing ride probably doesn't take long, so we might not see any activity in the B&M area if no track changes are necessary. Bunky, the trains and track are currently being sent to a local scrapyard in Orlando. Plus, at least one support has been pulled down. So, a total track replacement and new trains are a given now. It's not a total track replacement until all of the track is gone. Wow. Anyone have any pics of Hulk being torn apart? Somebody back me up here, but I believe Cedar Point's Raptor's cobra roll was pretty much replaced prior to the 1999 season. I have no pictures or posts to prove it, but I do recall reading somewhere about that event. It's not really unprecedented for some steel track to be replaced. Even Magnum has been reprofiled. As far as who is doing the track? I imagine Claremont Steel will do it, maybe the track is scheduled to be fabricated at a later time, it doesn't make sense to fabricate something that will sit around for a few months. Sorry to derail (and geek out), do you happen to know the artist, or where you got this image? B&M will still be the manufacturer on the coaster part of the project. Robert Niles confirmed it earlier today (don't have the link handy). Seeing that much track in the scrapyard gave me an idea. Imagine this: RMC hired to "reprofile" Hulk with their new "T-Rex" single-track design. That would be something. Hard to believe we kept Iron Wolf and Chang as relocations withi SF, Mantis found new life as a sit-down, Led Zeppelin/Time Machine will be rocking Southeast Asia, but Hulk is the B&M to buy the farm first. Of course, it might be the one with the most miles on it. True they might not remove every piece, but the pics I saw a couple days ago showed a lot of trackage and of course the trains. So this situation has me wondering about Phantom's Revenge. The ride was originally built by Arrow, and then retrofitted to a non-looping coaster. My memory might be wrong, but didn't Morgan do the retrofit? So, is it as simple as supply and demand? What I mean, with Valravyn and Mako the two main US rides coming out of Clermont, is it possible that they just didn't have the capacity to make the track, so B&M outsourced it to someone else??? It seems like Mako should be almost finished up as far as track production (they've got quite a bit on site by now, not as sure about supports), and Valravyn delivery has started, right? That leaves them finishing up Valravyn and...? So far it looks like we're talking about 2/3s of the track that should be hitting the scrap heap (cut marks on the curve over the launch tube, could be the whole thing, but they're working backwards so still unclear). Also, it's unclear if the supports are being scrapped or not as well, so maybe they're not manufacturing an entire ride, just half or less of one. I would be very surprised if B&M found a plant that lived up to their specs for this project alone if they've not done it yet to increase possible yearly output. What about the water? Much of the first half is directly over water, some of it is being misted all day. Add to that Florida's humidity and the fact that it's one of the rainiest / thunderstorm-iest cities in the US, and maybe the metal has had just about enough. I dunno... I think that's the area they were applying lubricant, judging by how it looked, which I think would mitigate any real damage (if there was any to the rails in the first place). I was shocked as well - considering it was far......far.........FAR from the worst B/M out there. Is Universal getting all "Las Vegas" on us where everything is now disposable? 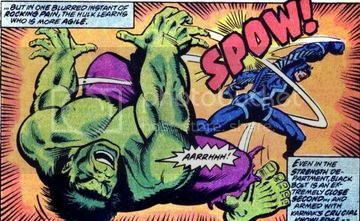 Hulk has always been strangely rough to me, the worst headbanger of any B&M. I always theorized that it was because they let the bushings in the guide wheels get too sloppy, resulting in a lot of lateral shaking around. You could always see it happening when you sat in the back and looked at the rest of the train through the inversions. ^ Agreed. Hulk is the only B&M I've ridden that caused a nasty headache. I attributed it partially to possibly being dehydrated (first trip to FL) but man it was unexpectedly rough! And I did notice the shimmy through the train as Jeff describes. Patriot is unusually rough. It's the only B&M that I have noticed to be rough, but the last time I was on Hulk was about a decade ago, maybe more. B&M confirmed to be rebuilding Hulk. Although, they do mention that it is not just getting retracked, but "new track designs". Looks like this may end up a new credit after all, cre-hoes.